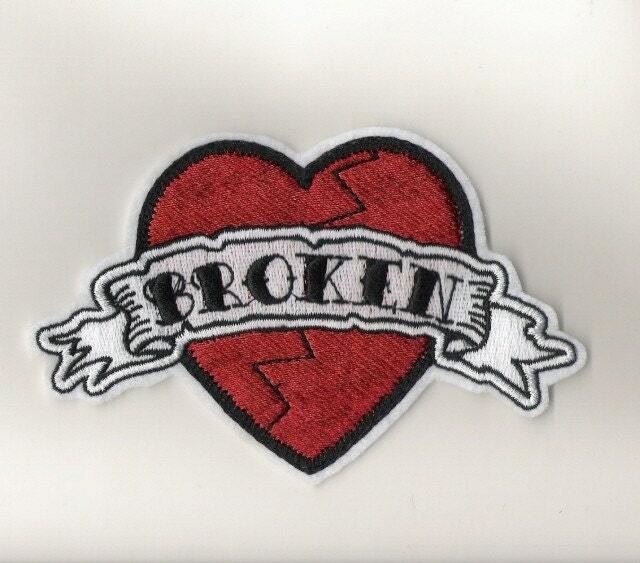 Embroidered Tattoo style vintage Broken Heart patch. Your patch will be embroidered on white felt as shown. NOTE: you can change "broken" to another word, 6 letters max. This is so perfect, it was really well made and exactly what I imagined. I can't wait to put it on my vest. Adorable little patch, worked perfectly for the project I needed it for. Has held sturdy with just the ironing. This was such a great purchase! I cannot wait to wear it on my jacket. Thank you. Great communication! Came out perfect, thanks!